A few weeks ago David Carr profiled Kevin Kelly on page 1 of the New York Times Business section. He wrote that Kelly's pronouncements were "often both grandiose and correct." 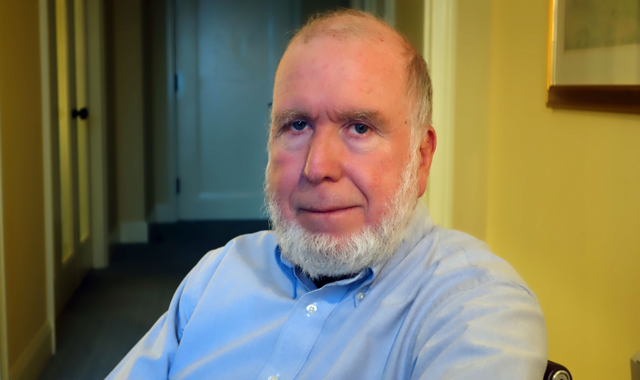 That’s a pretty good summary of Kevin Kelly's style and his prescience. For the thirty years I've known him, Kelly has been making bold declarations about the world we are crafting with new technologies. He first began to attract notice when he helped found Wired as the first executive editor. "The culture of technology," he notes, "was the prime beat of Wired. When we started the magazine 20 years ago, we had no intentions to write about hardware—bits and bauds. We wrote about the consequences of new inventions and the meaning of new stuff in our lives. At first, few believed us, and dismissed my claim that technology would become the central driver of our culture. Now everyone sees this centrality, but some are worried this means the end of civilization." The biggest change in our lives is the rate of change and while for many, Facebook and Twitter are a fact of life today. it's interesting to note that today (February 4th) marks only the 10th anniversary of the founding of Facebook by Mark Zuckerberg. When, during that same month, Forbes Magazine published their 2004 Billionaires List, it occured during the Edge Dinner in Monterey, California. Larry Page, present at dinner, made the list for the first time. When he showed me the Forbes headline, it was on his Blackberry pager. And it wasn't until 2006, just 8 years ago, that Twitter was founded by Ev Williams and his colleagues. If you read your news electronically at that time, most likely it was on a pager. "Sharing" was something you did at a Chinese restaurant. Kelly recently successfully published an over-sized book based on his blog Cool Tools. He is one of the few actually making a living from a blog, while he is also reinstating print as a great publishing medium (Carr’s point). He doesn’t just pontificate; he innovates himself. He was one of the founders, for example, of the “quantified self” movement. Kelly is well aware that his complete embrace of what he calls "The Technium", is a lightning rod for criticism. But, he points out that "we are still at the beginning of the beginning. We have just started to make a technological society. The technological changes in the next 20 years will dwarf those of the last 20 years. It will almost be like nothing at all has happened yet." In the meantime Kelly is doing what he's been up to for decades, acting as a sensing and ruddering mechanism for the rest of us, finding his way through this new landscape. How can we have a world in which we are all watching each other, and everybody feels happy? The question that I'm asking myself is, how far will we share, when are we going to stop sharing, and how far are we going to allow ourselves to monitor and surveil each other in kind of a coveillance? I believe that there's no end to how much we can track each other—how far we're going to self-track, how much we're going to allow companies to track us—so I find it really difficult to believe that there's going to be a limit to this, and to try to imagine this world in which we are being self-tracked and co-tracked and tracked by governments, and yet accepting of that, is really hard to imagine. How does this work? How can we have a world in which we are all watching each other, and everybody feels happy? I don't see any counter force to the forces of surveillance and self-tracking, so I'm trying to listen to what the technology wants, and the technology is suggesting that it wants to be watched. What the Internet does is track, just like what the Internet does is to copy, and you can't stop copying. You have to go with the copies flowing, and I think the same thing about this technology. It's suggesting that it wants to monitor, it wants to track, and that you really can't stop the tracking. So maybe what we have to do is work with this tracking—try to bring symmetry or have areas where there's no tracking in a temporary basis. I don't know, but this is the question I'm asking myself: how are we going to live in a world of ubiquitous tracking? I call myself a protopian, not a utopian. I believe in progress in an incremental way where every year it's better than the year before but not by very much—just a micro amount. I don't believe in utopia where there's any kind of a world without problems brought on by technology. Every new technology creates almost as many problems that it solves. For most people that statement would suggest that technology is kind of a wash. It's kind of neutral, because if you're creating as many problems as it solves, then it's a 50/50 wash, but the difference in my protopian view versus, say, a neutral view is that all these new technologies bring new possibilities that did not exist before, including the new possibility of doing harm versus good. One way to think about this is if you imagine the very first tool made, say, a stone hammer. That stone hammer could be used to kill somebody, or it could be used to make a structure, but before that stone hammer became a tool, that possibility of making that choice did not exist. Technology is continually giving us ways to do harm and to do well; it's amplifying both. It's amplifying our power to do well and our power to do harm, but the fact that we also have a new choice each time is a new good. That, in itself, is an unalloyed good—the fact that we have another choice and that additional choice tips that balance in one direction towards a net good. So you have the power to do evil expanded. You have the power to do good expanded. You think that's a wash. In fact, we now have a choice that we did not have before, and that tips it very, very slightly in the category of the sum of good. Technology is a means of producing new problems. Over time we are generating new technologies, we're producing all new problems. Most of the problems we have today are technogenic, meaning that they were created by technology in the past. Most of the problems in the future are going to be created by technologies we're creating today. Technology is a means of producing new problems. It's a means of producing new solutions, but the fact that we have a choice between those two is what tips the balance very, very slightly in the favor of the good for the long term. Over civilization scale, we have this net tiny incremental accumulation of these choices over time, and that tiny accumulation is what we call progress. If you have one percent compounded annually, that can be very, very powerful. It doesn't seem like very much. What's one percent? But when you compound this accumulation of choices and options over time, that's what civilization is. It's the slow accumulation of a very tiny increase in new choices over time. Yes, technology will at times obliterate some older choices, but the net gain over time is a small advantage in new choices, and that's what civilization is—it's an accumulation of increasing choices, and that's why people move from countries into the cities. There are lots of reasons, but in the end the main motivator is a pulling of people to a city because it has more choices and options than they had in their beautiful country home, and that's what the future is doing, the same thing. It's pulling people from the past into the future. Very few people go back the other way and live like their ancestors because the future has more choices and possibilities, and—in the end, given everything else about technology—that's what technology gives us, too. That's why we keep making this stuff. It's not really to sell more things. Yes, it's about selling things, but primarily what we're doing with technology is we're inventing new possibilities that did not exist before. There are two strands in technology: There's evolutionary change and there's developmental change, just like in our own bodies most of what we experience as individuals is developmental. So while we're growing up we start off as an egg and we become a blastocyst and then we become an embryo and then become a fetus and then newborn. That trajectory is very determined and developmental. And then there is also within us, these other forces of mutation in our genes, which are more evolutionary. A lot of what we see in technology is not evolutionary, it's developmental, meaning that if we were to look at a thousand or a million different planets with sentient life and civilizations, we would find that there's a general developmental course for the course of technology on a planet, in the sense that you would have a natural occurrence of pottery before you have electronics, whatever it is. There are certain precursors to certain technologies, and the same thing is happening right now on the growth of this connected world. There are certain developmental stages, and part of this is a cyclic thing where there's a period of openness, then a period of consolidation, and then the next rev of that is open while things kind of settle, and then that becomes consolidated and there are respiration cycles. We've been through several of those already. One of them was e-mail and the openness of e-mail. Then you had closed CompuServe and Prodigy and AOL, then there was this blossoming of the Web, which was all at first open and very chaotic with very few rules, and then there is this consolidation, and we have the closed, cultivated, curated worlds of Facebook and Google+, and then the next stage will likely be again a very open and wild and crazy and chaotic place while things are being sorted out, and that would likely itself collapse again into more enclosed and proprietary systems as people figure out what it is that they want to do. People tend right now to think that the future of the Web is Web 2.0; it's like a better Web. I went back to the early issues of Wired and all the Time magazines and Newsweeks and the newspapers trying to find out what people thought the Web was going to be before it was. Generally, what people thought, including to some extent myself, was it was going to be better TV, like TV 2.0. That's what we thought the Web would be at first—5,000 different sources giving you the specialty information about a horse channel and a dog channel and a cat channel and a saltwater aquarium channel, all these things would be coming down, and they would be providing all this stuff, and you could get it all in your home. But, of course, that missed the entire real revolution of the Web, which was that most of the content would be generated by the people using it. The Web was not better TV, it was the Web. Now we think about the future of the Web, we think it's going to be the better Web; it's going to be Web 2.0, but it's not. It's going to be as different from the Web as Web was from TV. I think in that next stage it's also going to be a very frontier-like situation where there is openness; There is lawlessness. There are land grabs; There is a sense in which the great uncertainty and new wealth and the resistance of the established players trying to bend things in their direction. The next step after that will be collapse and consolidation of that frontier. If we were sent back with a time machine, even 20 years, and reported to people what we have right now and describe what we were going to get in this device in our pocket—we'd have this free encyclopedia, and we'd have street maps to most of the cities of the world, and we'd have box scores in real time and stock quotes and weather reports, PDFs for every manual in the world—we'd make this very, very, very long list of things that we would say we would have and we get on this device in our pocket, and then we would tell them that most of this content was free. You would simply be declared insane. They would say there is no economic model to make this. What is the economics of this? It doesn't make any sense, and it seems far-fetched and nearly impossible. But the next twenty years are going to make this last twenty years just pale. We're just at the beginning of the beginning of all these kind of changes. There's a sense that all the big things have happened, but relatively speaking, nothing big has happened yet. In 20 years from now we'll look back and say, "Well, nothing really happened in the last 20 years." The issue of managing attention on the Web, and the overwhelming ocean of information that we're generating, and this relentless fire hose of new stuff is that it's making it very difficult for anybody, young or old, to pay attention to a long form. It's a great challenge. It's also uncertain which way it will go. Is it something inherent in this new technology that's going to make this always difficult? Or is this again a phase that we'll go through, and people will get tired of it and return back to things. We don't know, it could go either way and I would have arguments for both sides. The argument on the side that there is still an appetite for long form is to think about the appeal of some of these long serial movies like Lost, which is 100 plus hours of very complicated narrative. Twenty years ago anybody in TV or movies would have told you that no one's going to pay attention to 100 plus hour movie. But you have these very long serials with continuous narrative thread through it, and they're very, very complicated with many different plot lines, and people love it. So there's an example of things becoming more complicated and requiring more attention. Will long narrative-like books be able to regain that place? I don't know. I do know that among my kids and all their friends, not only do none of them read books, but what's interesting to me is that they're not watching television. Even movies aren't central to them. If you watch or listen to what they're talking about, they're discussing what they saw on YouTube. That's the center of the culture, and that's a very bleak prospect for people who really want to go deep with ideas, but that's not a statement about what the short form is right now. It's a statement about the accessibility of it, the digestibility. We could see YouTube leading to better and improved tablets, new forms of animation, rendering, understanding how we learn. There's great potential in there to have a new form for deeper understanding that's not the kind of flat book, and it's not the kind of linear TV show or video. It's something else and, again, we're going to be surprised right now, because we think that the choices are either TV (which doesn't seem to work for conveying information), movies (which don't seem to be that much better), books (which had a great reputation in the past and are no longer so popular). We are going to make something other. We're going to use technology to rearrange how we present deep ideas and have people spend the time necessary to master them. I don't think it's a matter of "Either it's going to be books or video," neither of those are really going to work. We're in the era of what Alvin Toffler called the "prosumer". Techno-literacy is concerned not just with consuming media but also creating it. Toffler's prosumers are people who consume media, who also produce it, and who are both producing and consuming at the same time. The Maker Movement is great evidence that we're in this kind of prosumer era where some of the artificial divisions that we had in the industrial society are breaking down—where there were producers and consumers, and they were separate camps. We're getting back a little bit more to a previous era—the hunter/gatherers—where people made the stuff that they consumed. In a curious way the new technologies can offer us more access to that earlier era. Certainly most of the things that are going to be produced are going to be made by robots and automation, but we can modify them and we can change them, and we can be involved in the co-production of them to a degree that we couldn't in the industrial age. That's true not just for media and liquid intangible things but also for tangible things, and that's sort of the promise of 3D printing and robotics and all these other high-tech material sciences is that it's going to become as malleable. Using the Internet and AI and connection, the physical world will be as malleable for us when we have help of these tools as the intangible world has been, and so that era of the prosumer can return. But again, this is not going to happen by osmosis; it will take training; it will take teaching; it will take education. It will take a literacy, a techno-literacy, to learn how this world works—to learn that these technologies have biteback, that they have feedback, that they have issues, restrictions, and there are costs. All this stuff is part of it. For a long time economists studying the new economy had a saying that you could see computers everywhere except in the productivity statistics, in the sense that we're still in that process of seeing the payoff from computers. While there's Internet speed of life, which is going very fast, we are biological beings and there's generations of investment infrastructure that will take a long time to pay off. In a certain sense it'll take us another generation before we actually understand what the Web is. There is a huge lag between the arrival and our use of something and our complete understanding of it, what its role is and what it means and its effects plus and minus. That gap, even when we speed up, is going to remain. There's still going to be a gap between our placement of it and our acceptance of it. The acceptance comes first, but this is actually important, because I did a study of technology looking at prohibitions, which don't work. Prohobitions are always just postponements. We can't regulate technology by prohibiting it. We have to only regulate it by use. We have to use things in order to steer them or rearrange them or reassign them. We can't manage our technology by not using them, by prohibiting them, by outlawing them. It's important that we understand that the proper way and the best way and the most efficient way for us to manage and regulate and control our technology is not by surrendering it and giving it up, relinquishing it or prohibiting it. The primary way we want to do this is by engaging with it, being constantly vigilant and working with it, using it, and it's through use that we can actually steer it. What we're doing right now is we're trying to invent other forms of collaborative work, other forms of doing social enterprise. Some of them are other forms of businesses, and some of them are other hybrids, and we have nonprofits, which are often very monetized, and we have these other collectives like Wikipedias and Linuxes and Open Source, which are not, and we have Burning Man, we have zones. The real excitement is in looking for ways to collaborate together, some of which will have money involved and some of which will have a deliberate refusal of certain aspects of money, but to lump them all together as consumerism and corporatism is not really going to be useful. It's better to understand these as the detecting and trying to explore the different ways in which you can arrange people's work and the credit and the sustenance that flows through them to keep them going. People are very eager to try forms of transactions and forms of work that aren't in the old model. Money, too, has evolved and money will always propel things, but that's not really the best way to think about what's going on. If you stand back and look, you will see there's a much more interesting variety of things being tried. One of the effects of this network economy and this network growth is that it's very common to see these network effects kick in where you have “the more gets more,” and the thing grows bigger and bigger. The more you have, the more attractive you become and the more people you get, and the more people you get, the more attractive it is, and so you have explosions—these exponential explosions of networks, which is how Microsoft got very big. It's how Google is getting big and Facebook. They're all operating on the same principle. This is a kind of natural monopoly. First, it's natural, it has nothing to do with coercion or scalping customers. It's a phenomena that all networks show, that there is going to be these winner-take-all things but that the same forces that move to making them very large will also help them unravel just as fast. These are temporary successes in a certain sense, just as fast as they can grow, they can collapse (Blackberry). We shouldn't be too envious of that kind of scaling, because it's a very ephemeral thing, and it's a very natural thing. Another point about this winner-take-all phenomenon is that at first we have a natural reaction saying, "Well, winner take all; there can only be one winner," but here's what technology is doing: technology is increasing the number of races in which you can win. There are more and more niches and more and more places in which the technology creates new ways in which one can win. There isn't a finite number of winners, there's an infinite number of winners as long as you're not trying to win someone else's race. The way everybody can become a winner is to continue to increase the number of ways to play, even though you have these winner-take-all phenomena. There's only going to be one search winner, but there are so many other ways to race and to win other than in, say, search. In most cases, trying to compete against a winner is not going to succeed in this kind of dynamic. What you want to do is make up a new way to win. The current infatuation with Twitter and, to some extent, Facebook, is about people exploring this mode. It will remain as an option for others, for everyone in the future, and so will blogging and so will writing books and so will YouTube. What we're doing is we're increasing the modes, and right now there's a huge flurry of activity as people explore what you can do with Twitter. Then we'll learn what we can do with Twitter, and it will be in the context of what we can do with blogging and books and other things. Ten years from now we're not going to have any conversations about Twitter just like people aren't really talking about blogs now. It's going to work its way through and we'll understand that it's another option in this growing spectrum, which will continue to increase because ten years from now, there's going to be something else that everybody's going to be doing. People will talk about the good old days with Twitter, when people were only tweeting. Right now people are trying to figure out, what can you do with it? How far can you take Twitter? How far can you go just tweeting? That's a wonderful thing to explore even socially, and so it doesn't mean that the whole world and the whole media world is only going to be tweeting, that's really shortsighted because these things don't go that way. What happens is they become another option in the spectrum that people have. Look how fast blogs came and gone. They didn't actually go away. There are still blogs there, but they're just in that little palette of things that you use together, and some people are better at it than others. That's okay. I'm not so upset by it. There's a lot of concern about teenagers playing 40 or 50 hours, wasting time on a game or commenting on Reddit or whatever. There's talk about addiction, Internet addiction, which I don't really believe. I mean, there are occasional cases, but most of the time it's young people who are becoming obsessed about something. Obsession is a tremendous force; real creativity comes when you're wasting time and when you're fooling around without a goal. That's often where real exploration and learning and new things come from. Even as a society we can have temporary obsessions with something that we will work through, and that's one way in which a society can explore an idea. We can call them fads or whatever, but they're actually more productive than just thinking of them as a fad. Think of them as kind of a compulsion that is trying to explore something, and right now there's a compulsion about what can you do with 140 characters, and we'll work through that and we'll say, "Well, here's what you can do, and that's about it." The Internet is the world's largest copy machine. What the Net does is it copies things. When you send a message to anybody else, it's being copied in between. Take a picture, posting it. It's being copied all along the way, and so anything that can be copied will be copied on the Internet, and anything that touches the Internet will be copied. That's what it wants. That's what it does, and so you have to have an economy based around things other than copies, because copies are so prolific that they're valueless. They're worth nothing, so you don't want to protect them. You want to earn money through generatives and things other than copies—things that are hard to copy. Like immediacy, or authenticity. That's how you make money. The same thing is true about tracking. The Internet wants to track just like it wants to copy things, and it's going to be very, very difficult to prevent this thing that we're on all the time 24 hours, seven days a week, from tracking, because all the technologies—from sensors to quantification, digitization, communication, wireless connection—want to track, and so the internet is going to track. We're going to track ourselves. We're going to track each other. Government and corporations are going to track us, we can't really get out of that. What we can try and do is civilize and make a convivial kind of tracking. There are some things we can try in that department. One is maintaining symmetry so we want to have coveillance rather than surveillance. We want to be able to watch who's watching us, track who's tracking us, track what they're tracking, track how accurate it is, correct it if needed and benefit from it in kind of a peer-to-peer way. That's a much more likely regime that could be productive than having a one-way, asymmetrical surveillance which is they're tracking us. We don't know what they're looking at. We have no benefit from it. We can't correct it. We don't even know who they are, and so that's the negative side. That's the harmful side of it, but there are other things we can do besides the symmetry, and we do need regulation. There may have to be portions of our lives that are private, and so in combination with this, we can manage this ubiquitous tracking. I don't think we can stop the ubiquitous tracking. In terms of the NSA, what we want is to say, "Yes, okay, you're tracking us, but if there's a watch list, you have to be accountable." It can't be secret and outside of any kind of accountability. We have to be symmetrical. We have to understand why it's there, what the rules are. If it's incorrect, we can correct it. There has to be ways to appeal it, all this kind of stuff, and so that's the kind of world that I think would make this a productive type of tracking. In terms of corporations, which are doing the same things, there has to be more work at making it transparent both ways so that if we're going to be transparent in our own, we have to be transparent with what happens with this information. I go along with what Jaron Lanier says, which is there should be benefits. There should be co-benefits in the sense that if my data is being useful to others, then I should benefit from that. There should be mechanisms to try and make sure that the data that I am allowing to be tracked and that I am even self-tracking myself, when it's beneficial that I partake in that value. So again, there has to be that kind of symmetry, and if we understand that, then we'll be a lot further along in making this productive. What's not going to work is trying to prohibit this tracking, because that's like trying to prohibit things from being copied. It's not going to work. Intelligence leaks are inevitable. The U.S. used to have a policy of Smokey the Bear—zero tolerance for fire. And so fire was bad. There were no good fires, and you were scolded into preventing forest fires. Well, what that did was it suppressed the wildfires and built up this huge bank of flammable material, so when a fire did come in, it just destroyed everything, and that's what the NSA and the other agencies are experiencing. They're trying to be secret, and you can't be secret if the Internet wants to copy stuff. They're running on the Internet, and it's going to be copied, and so rather than trying to suppress the leaks and then having this once-every-ten-year wildfire conflagration consume them, which is what they're having with Snowden, they should themselves allow and permit and manage these whistleblowing revelations in controlled burns. They should have a department of intentional leaks or something where they are working with agencies like Wikileaks, which they eventually will have to do. That's the curious thing. In fact the agencies are now working with the newspapers to manage these. Why didn't they do that before instead of now where they're in a weaker position? They need to be active about this and understand that they have to work with these others to dispel and dispense these leaks so that they don't build up into this terrible, terrible fuel bank that's just going to blow up when it does, because it will. They will have leaks. You cannot run anything on the Internet and not have it being copied. What you want to do is to manage your leaks and work with them and not consider these things as treason. You want to have a whistle-blowing program, of which Edward Snowden was a good example, and they should treat this in a responsible manner. People like him are actually helping them in a certain sense clear out this dead wood and remain legal and do things above board and have the support of the public behind them. Fifteen years ago I wrote a book about "the new economy", in which I was talking about the way the economic world would shift. Unfortunately, it was released right at the peak of the dot com era, and everybody at that time believed, without reading the book, that it was talking about the dot coms. I didn't even use the word dot com. I wasn't interested in dot coms. I was talking about the reconfiguration of the economic landscape due to these network effects, due to the fact that you had copies proliferating, due to the fact that we had a shift from places to spaces, due to the fact that we had two numbers that were not common in business before now becoming essential: free and infinite. Zero and infinity were now parts of the equations as you thought about things, prices going to the free, infinity being the sense of the scaling potential of a network. All the things that I was talking about took a long time to play out, but they're actually more valid now. One of the things I said in the first couple pages of the book, was that you should run your business as if it was a software company no matter what your business was. Basically the software would eat everything. The dynamics of the intangible world of code would really become the dynamics of everything; that this stuff, this software and code and information would become the primary avenues of wealth whether you were in chemicals or transportation, health care, farming, whatever it is, that these were going to become dominated by these intangibles and so understanding how the economy of intangibles worked was essential. That's becoming very, very, very clear now, and so the next new economy now that we're headed into is one where it's being run by big data, which is an intangible. Big data is the real revolution happening right now. Yes, I think it's a buzzword, but it's actually justified. Big data is something you should pay attention to. We're in the period now where the huge dimensions of data and their variables in real time needed for capturing, moving, processing, enhancing, managing, and rearranging it, are becoming the fundamental elements for making wealth, We used to rearrange atoms, now it's all about rearranging data. That is really what we’ll see in the next 10 years. That's what these networks are going to do. They're going to release data from language to make it machine-readable and recombine it in an infinite number of ways that we're not even thinking about. But to do that will require a set of tools that we don't have right now. This data is operating in the realm of zillionics, so we're beyond the last prefix that we had of the exa, yotta, lotta. We don't even have scientific prefixes for the orders of magnitude of this data that we're going to be generating and managing in real time. We don't even have mathematics right now to do this at the level of 10 to the 23rd, or whatever scale it is that we're going to be heading to, and that that is both an opportunity and a challenge for business. How many things do you want to carry? I think it was Jeff Hammerbacher at Facebook who said that the best minds of his generation were trying to get people to click on ads. Neal Stephenson, the science fiction writer, and others, have tried to suggest that we should step up and think big and not just be concerned with these very commercial and pedestrian and next quarter concerns, but really think out at the generational or civilizational scale. I applaud that 100 percent. There is a tendency right now to short-term thinking, to be concerned about something that will work and scale up within five years or whenever. That is a bad habit for us, and there is in the culture right now a definite short-term bias that is unproductive for the long term. It's hard to convince people to take that long-term perspective because the future is so uncertain. Are people still going to carry things in their pocket in ten years? Will Wi-Fi even be around? Why should I try and master this? The uncertainty of the future is really working against thinking long-term perspectives, and yet they're ever more needed. If I was a young person, daring to transcend the short term, daring to think about something that might take 10 years to do, I would look to Elon Musk and see what he's doing with his electric cars or his crazy super tunnels, or going to the moon again or Mars. Elon, and people like him should be our role models, because we have the capability to do that, but it requires a certain kind of discipline to forestall those immediate rewards and go for something that would take 10 years. There's a lot of great art being made now and some of the best art ever. I would say that some of these serial TV programs, like Lost and The Wire, will go down in history next to Dickens and Shakespeare. They are comparable in their achievement, and there will be university courses and professors specializing in studying them just as they have Dickens experts. We are producing art, and there's lots of room to do that, although maybe our society is not honoring the artists as much as it once did. But the platforms and genres are shifting. The Nobel Prize for poetry should go to Bob Dylan because pop music is the poetry of today. It's in songs. It's in lyrics. People are doing art, but sometimes it's not called that. It may take a while for us to recognize it. There's no reason why you can't have great artists making Web pages. I do expect the artists to be working on iPhone and a tablet sooner or later. An artist is somebody who is outside a little bit, who speaking truth to power, provoking the societ. A really great question, is how one can protest against the system when it seems impossible even to communicate without it or, in some senses, be a modern person without it? You could say, well, the Amish are protesting in some sense because they're out of it, but their protest is very feeble. It will be hard to protest the system, but it's not just how do you protest outside the system; It's how do you remain different? Going back to the new economy, the new economy is powered by differences—the difference that makes a difference as the Bateson definition goes. But it's not just “difference,” it's connected difference. So the aboriginals in some remote Amazon jungle have a very different viewpoint of the world. They have a set of knowledge that's separate from science, it's shamantic knowledge and it's very deep and consistent within their system, but because it's not connected to us, it doesn't really affect the rest of the world. The real key is to remain different while you're connected. The problem with being connected is it tends to homogenize everybody, so there's this pressure to be the same if you're connected. You go to any large city around the world, and there is a uniformity in what that downtown looks like. Connection tends to drive things to uniformity, but the value, the power of being connected is by remaining different. There's this conundrum, this dilemma of remaining different while connected, because if you're just different but not connected, there's no power in that, and that's actually easy to do, but can you remain different while connected? You're different in certain degrees, yet you're part of the uniform standard. So it's like you don't want to make up new words that don't mean anything. You want to write a book that uses the standard words in the dictionary, so you're going to be different while connected to the standard. You're connected to the English language, but you're going to be different with what the words say. That's the challenge for artists or even protestors to some extent, even those who are trying to change things, is that you want to be connected and yet remain different, and that's a tremendous trick and tremendous challenge and requires a certain art in your life, but that's what the leverage will be: to be different while connected. In this kind of network economy, which is basically being run by commercial enterprises rather than, say, the government, somebody's always going to be the boss, and so if it's not commercial, it's the government, and you have the same problem about if you were a protestor you can only do things that the government's going to allow you to do. If the government feels you are threatening to them, you can't say anything. They'll put you in jail, and so Gandhi and the civil disobedience people worked within the context of the laws of the British Empire, knowing what was acceptable and what wasn't. They were always kind of playing that edge. Now corporations have a lot more power and will continue to have probably more power in a network economy, and so there you can only do things that are kind of within the terms of agreement with the corporations otherwise they'll kick you off. They're all the time taking down material and closing e-mail accounts and preventing PayPal payments, which we saw with Wikileaks. Are there ways around that? Well, actually in a certain sense, I think there are more avenues to work around that than there is to work around a government. If the U.S. government decides to go after you, there's really no way to escape. If Google decides to close down, actually we do have other technical avenues. You can actually still have an e-mail. You can still send somebody something that you wouldn't be able to do if the government was running this enterprise. So in a certain sense, as onerous as it is to have corporations, which are less accountable, running things, in a certain sense that's still better than having only the government run it, which is kind of what you see in China a little bit. I'm going to China twice a year or more. I am in Asia a lot, India, Korea, etc. I married into the culture. The average American doesn't really appreciate how fast things are changing in these countries, changing in the sense of moving from being a very resource-intense copy culture, into intangibles and a service economy and trying to be innovative. That transition will come as a surprise sooner than most people think. Military power will come with it, and the supremacy, hegemony, and exceptionalism of America will be challenged. It will require a recalibration of America's role in the world, and this will be a benefit for Americans and for the rest of the countries and peoples of the world. Freeman Dyson put up a challenge about whether the universe as a whole was ultimately, fundamentally, at its essence, discrete or continuous. At its essence, was it binary in the sense of information, or was it analog in the sense of waves and wavicles and if it was continuous—if it was an unbroken, unquantumized field. I don't have any intuition one way or the other, and he is a better judge of that, but it could make a huge difference in our understanding of the world. I would bet that the digital wins. I mean, if I had to make a bet on which way it is, I would suspect that it's a binary digital world in a sense that it's information-based. I don't think we don't know what information is. It's a huge mystery, but over time we'll begin to recast and translate physics in terms of information, and I could be wrong, but if I had to make a bet, I would bet that the universe is digital. The ordinary pen you use every day seems very simple but it probably took 100 different technologies to make this pen technology, technologies of plastic, ink, ball bearing, metal, and each of those different technologies probably themselves required another 100 sub-technologies to support it and, of course, there's kind of a circular way in which pens might be necessary to make a ball bearing in the same way that electricity is necessary to make a generator, and a generator may be necessary to make the wires of an electrical system. A hammer requires a handle and a head, and the saw requires the hammer to make the saw that cuts the handle, so there is a sense in which all of this is very recursive and that there is a network of different supporting technologies, and that the whole web of all these things I call the technium. The technium is that largest network of all the technologies working together to support each other, and while this pen is definitely not alive, there is a sense in which the technium as a whole exhibits life-like behaviors in the same way that your neuron doesn't really think, but the network of neurons in your brain can make an idea. And so I look at the network of all the technology in the world, past and present, as forming a system that seems to have its own urges and tendencies. Like any kind of a system, it will have certain ways that it's biased to, and those biases are inherent in the system. It doesn't really matter which humans are living or not; it's a systems bias. The question I've been asking myself is, what are the biases of this system of all the technologies in the world together? If we can understand what those biases are, then we would have some idea of where it's leaning towards and where it generally wants to go. Not surprisingly, since I see this as a life-like system, I see its origins in life. That is, in a certain sense, this technium is an extension of the same forces that self-organized into life, and that are continuing through the technium, so that the technium is inherently not anti-life. It's actually very much derived from and compatible with living things. In terms of the cosmos, it's actually continuing and accelerating the things that life and evolution were doing on the planet. It's moving in certain directions, and I would say that if we were to make a list of where it's going, it's not a destiny but kind of a direction. It's moving towards complexity, and it's moving towards more sentience—more mind. It's moving towards more specialization. It's moving towards more energy density, and there's a whole set of other directions that life is also moving towards. So if we want to imagine where technology will be in 100 years or 1,000 years, we can go down the list and say it's going to be more complex than it is today. There's going to be more minds and artificial minds everywhere. Whatever we make today, we're going to have more specialized versions of it in the future. It becomes more mutualistic, in the sense that technology becomes more dependent on other technologies. We ourselves, our society, will become more mutualistic. These are all some of the things that I would say technology wants because the system itself is biased in these directions, inherently outside of what humans like us want. There's an interesting thing about ancient China, because if you read through the history, almost every single major invention of the world was invented in China first, and sometimes it took hundred of years for each to either it to make it's way to Western Europe or to be reinvented in Western Europe. That includes paper, printing, steel, gunpowder, the compass, rudder, suspension bridges, etc. It's almost everything, and for a long time China led the world in civilization because it was able to make these things long before anyone else. But there was one invention that China did not invent, and it would turn out to be the most important invention, and that was the invention of the scientific method. There's still a question about why China didn't invent that, which was invented in the West. Because of that one invention, the West suddenly had a method for inventing new things and finding new things that was so superior that it just blew past all the great inventions of China and invented so many more things because of the power of this one invention. And that invention—the scientific method—is not a single thing. It's actually a process with many ingredients, and the scientific method itself has actually been changing. In the very beginning it was very simple, a couple of processes like a controlled experiment, having a control, being able to repeat things, having to have a proof. We tend to think of the scientific method as sort of a whole—as fixed in time with a certain character. But lots of things that we assume or we now associate with the scientific method were only invented recently, some of them only as recently as 50 years ago—things like a double blind experiment or the invention of the placebo or random sampling were all incredibly recent additions to the scientific method. In 50 years from now the scientific method will have changed more than it has in the past 400 years just as everything else has. So the scientific method is still changing over time. It's an invention that we're still evolving and refining. It's a technology. It's a process technology, but it's probably the most important process and technology that we have, but that is still undergoing evolution refinement and advancement and we are adding new things to this invention. We're adding things like a triple blind experiment or multiple authors or quantified self where you have experiment of N equals one. We're doing things like saving negative results and transmitting those. There's many, many things happening with the scientific method itself—as a technology—that we're also improving over time, and that will affect all the other technologies that we make. My definition of technology is anything a mind produces, so I have a very broad scope of technology, and I would say that the first technologies actually came from animals. In a certain sense the collective mind of an anthill or termites can make a skyscraper. It's kind of like the external phenotype. You can have birds weave. They do weave. They weave nests. Beavers engineer dams, and that just as we had an external phenotype that we made with our own minds, we made technology and tools. It's anything that's being produced by our minds, and that would include not the individual works of art but the technologies of art, painting and symphonies. These were all, in some senses, technologies, they are products of our mind and not just a personal expression but something that's useful, and so intangibles like a calendar are a technology. Software obviously is a technology. Infrastructures like roads and a library, these are technological inventions, and so it's a very broad definition. I would suggest that in the future when we have robots and AIs, the inventions that these minds will make will also be technologies. That's what technology is. Tools are technologies, which can be intangibles and processes. They don't have to be hardware. It's useful stuff, and the best tools are tools that enable other tools. They're open possibilities, possibilities that unleash future possibilities, and those are the greatest tools. One of the things that science does is a really curious thing. Every time we use science to try to answer a question, to give us some insight, invariably that insight or answer provokes two or three other new questions. Anybody who works in science knows that they're constantly finding out new things that they don't know. It increases their ignorance, and so in a certain sense, while science is certainly increasing knowledge, it's actually increasing our ignorance even faster. So you could say that the chief effect of science is the expansion of ignorance. In a curious way, Google is all about answers. So you could say that Google is increasing answers over time, but what's interesting is that answers are becoming cheap; they're almost free, and I think what becomes scarce in this kind of place that we're headed to is questions, a really good question, because a really good question can unleash new questions. In a certain sense what becomes really valuable in a world running under Google's reign, are great questions, and that means that for a long time humans will be better at than machines.